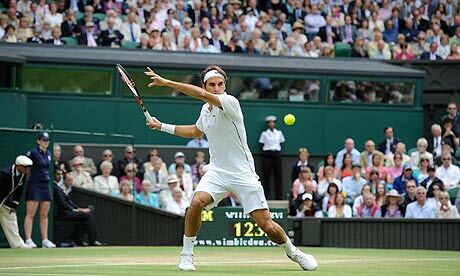 Sony and the BBC are planning to trial what will be the UK’s first ever 4K broadcast at this year’s Wimbledon tournament. Inside sources told Tech Radar that Sony is readying its most advanced Ultra HD camera equipment in preparation for the annual Tennis event, which is set to kick off on June 24th. In addition, the Evening Standard reports that Sony is also planning to film this summer’s Confederations Cup tournament in Brazil, as it steps up its efforts to woo consumers into buying 4K TVs. While Sony is providing the equipment and the expertise, it will be the BBC that actually oversees the filming of Wimbledon. At the moment, it’s unclear if Sony plans to film the entire event in 4K, or just a selection of matches. It’s also not known if the event would be a live broadcast. Previously, Sony and the BBC have teamed up to demonstrate 3D broadcasts at Wimbledon, though the results of that partnership were disappointing, with the BBC’s Andy Quested admitting last month that most viewers just aren’t interested in 3D. However, 4K is a different kettle of fish altogether, promising to have a huge impact on the industry in the next few years. As such, Sony has been going all out in its push to get more 4K content onto people’s screens, including setting up a 4K digital remastering studio in Hollywood in the hope that the new technology will re-energize its struggling TV business. Being able to view Wimbledon “through a window”, as the effect of 4K has been likened to, might be a temptation for some, but anyone who wants to do so is going to have to shell out a fair whack of money for the privilege. Most of the 4K models we’ve seen so cost a small fortune, with Sony’s XBR X900A priced at £25,000 in Harrods, and Samsung’s recently released 85-inch S9 going for a whopping £35,000 in Selfridges. TV makers are attempting to make 4K more affordable however – just last month, little-known Japanese manufacturer Seiki announced the availability of its disconcertingly cheap SE5OUY04 4K TV for just $1,299 in the US, while Sony is reportedly set to release a 55-inch 4K model for under £5,000 in July.